Just wanted to say Hi and to ask some advice, apologies in advance If this has been posted in the wrong forum but hoping some of you may be able to assist on what I am asking. Since I can remember I have wanted to own my own Stormtrooper armor and I may now finally get my wish however I am a little limited on what I can afford/buy, I literally have one option it would seem. I am next to useless on assembling/making things so have ruled out a kit costume as know I would just ruin it the moment I try and do something! Also for some of the ready made armors such as TM/RS they are sadly out of my budget especially when I would want it ready made. This leads me to one option SDS/AA Battle Spec Armor v2. I have literally read pages and pages for hours and hours of the ethics and issues surrounding all the controversy of the this, but think due to my situation this would be my only option in acquiring a suit of armor. The reason I can only get this armor is that I would need to pay for the suit with Amazon vouchers which I received for a recent Birthday. I have enough vouchers which would cover the cost of the suit. I sadly cannot justify spending over £500 of actual cash at this moment in time. I am able to buy from Amazon the SDS TK Battle Spec Armor. I Ideally would like to eventually join the 501st and partake in some trooping. I like the whole idea of doing it for charity whilst getting a chance to dress up in my armor. I understand that the main change I would need to make is that I would need to swap the ABS belt to a canvas belt, but unsure of some of the other modifications, think its to some/all of the strapping? So the main question I have and would like feed back on is. - Forgetting all the Controversy towards AA/SDS if my only feasible option on getting some Armor is the Battle Spec armor would you go for it?? - The Battle Spec TK armor is it a decent suit?? - Have any of you got it and if so was it a pain to get approved?? 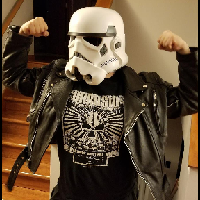 - If and when I got approved and I stood next to a 501st member would my armor look out of place (I guess I am asking does it look cheap and nasty)?????? Sorry for the long post but hoping that some of you are able to give me some information before I order it. Welcome to the FISD Rich! Great choice in going with a TK! I have no answers for you as I have ne experience with that brand. I've heard details are soft and armor is on thinner side. A thing to know is there is more then just armor to purchase. You'll need boots, holster, neck seal, undersuit and obviously belt. Joseph has a nice list of items you can check out. We are truly lucky here in the UK to have some of the best armour makers in the world. As you’ve already mentioned, this certainly includes RS and Troopermaster at the more premium end of the spectrum. I’d certainly suggest checking out RWA and DA Props as both should be close to your budget for the armour. Take a look at the armour from each supplier and compare with screen used examples. This will give you a real indication of their accuracy. As you’re in the UK, it would also be worth signing up to the UK Garrison forum (www.ukgarrison.co.uk) and check out some of the previous builds from these makers. Some can certainly require more work and adjustments than others. Btw, was the £500 budget just for armour or including boots, neck seal, blaster, undersuit etc? Thank you for the swift response, from what I have read I believe I get a undersuit and supposedly a neck seal but unsure of the quality of both. I understand Boots, Holster, Blaster are extra, and can buy these afterwards. Agreeing with everything cableguy said. I’d absolutely recommend joining the uk forum. You’ll then be able to see work in progress thread of others and may be able to gauge how much adjustment may need making. Thank you all for the replies. The £500 (in vouchers) is just for the suit, I would then aim on getting boots and Holster next. followed by the blaster. So these would be extra, i would also like to get a mannequin so can display it when I am not wearing it. I am still trying to convince the wife! hence why I have to use vouchers to pay for the actual suit. but nearly there she just doesnt want me regretting it if the suit doesnt look good. 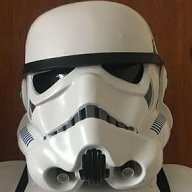 I will go over and sign up to the forums on the UK Garrison, I didn't know you could do that if you were not a fully fledged member! Yes mate - new members can sign up, have a look around and introduce themselves. You’ll get feedback and guidance there too. Just bear in mind, we can’t promote or recommend armour makers over on the UKG forum (forum rules). With your budget, I’d certainly suggest checking out the makers I mentioned. They’re both found on Facebook. RWA Creations and The Shed Of Glittering Delights (DA Props). I know troopers with both and they’re very well thought of. (My kit is RWA if you wanted to check out the links in my signature). Welcome aboard the FISD Rich! Yeah I couldn't help with the options part of your specific guideline. I do understand the wife scenario, there was much convincing on my part for my kit. Hello and welcome to the FISD! I very much recommend following Dan's advice. If you are looking to join the 501st legion then you will need to make some modifications to your SDS armor. In the long run it may be cheaper to just go with the options that Dan has recommended like DA Props and RWA. Remember, purchasing a set of armor is THE MOST important part of this process. It is important to take your time and if that means saving up money for a while then please do so. It is a marathon not a sprint. Good luck! If one of the vetted armor vendors is out of your price range, I would recommend waiting and saving up. And as a rule: ALWAYS BUILD IT YOURSELF! No matter how lacking in ability you may think you are, the honest truth is that you're wrong and anybody can do it with some hard work! Hi! UK sandtrooper myself. 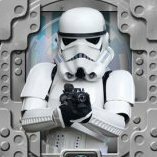 Something to add thats not been brought up that if you join the forums at uk garrison you may find someone selling their kit second hand. Also if you go down the kit option you may have someone near to where you live that could help you assemble it. Hi Rich. Welcome aboard. Personally I would give yourself some breathing space before buying a suit while under a specific budget. As Steve/ starsaber25 stated, getting the armor is the most part so I would see what your options are after lots of thought. After a good many talks with my wife, she agreed it was best to wait and invest a bit more on something I was happy with, not restrained by budget too much. She knew she would never hear the end of it if I had cornered myself into getting something I was not comfortable buying under a tighter budget. Hope that helps a bit. Welcome, looks like your off to a good start with info!